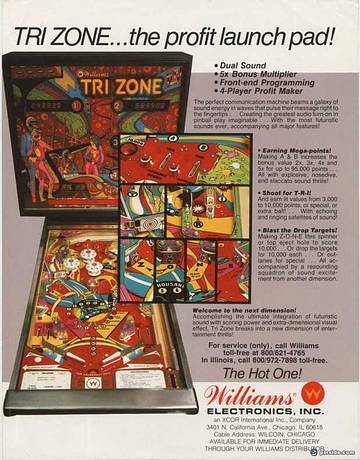 The TRI ZONE serial-model was produced in summer and autumn 1979 with a black cabinet. 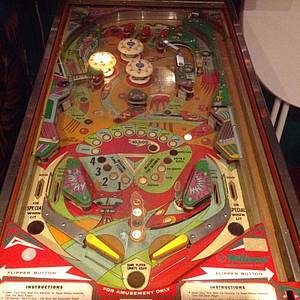 The test-samples from early 1979 were the 'red models' with different playfield-art. 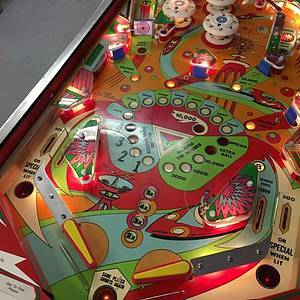 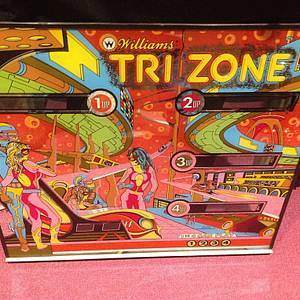 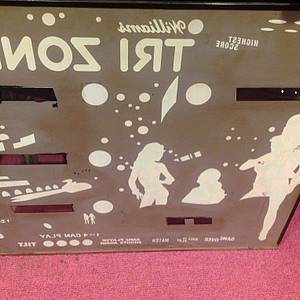 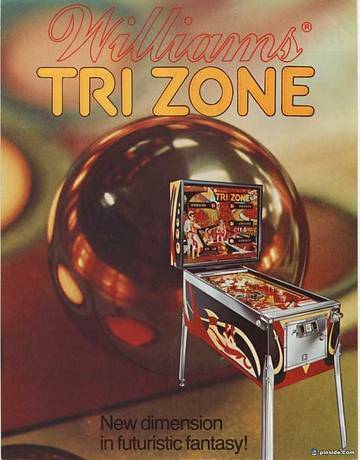 TRI ZONE is the last pinball-machine by artist Christian Marche who left the USA to return to France. 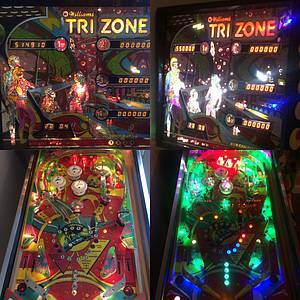 This game has received 30 approved Pinsider ratings and currently has a rating of 6.691 out of 10. 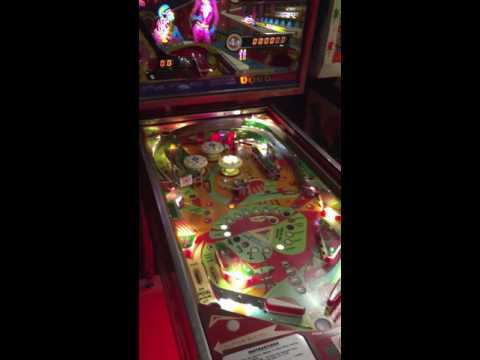 This game ranks #311 in the Pinside Pinball Top 100. 95 Pinsiders have this game in their collections. 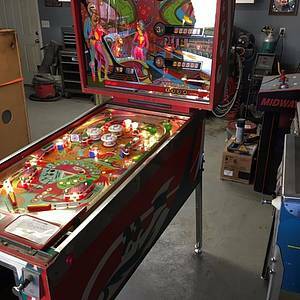 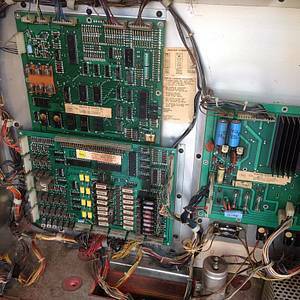 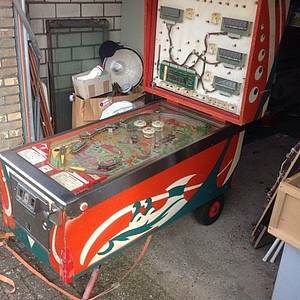 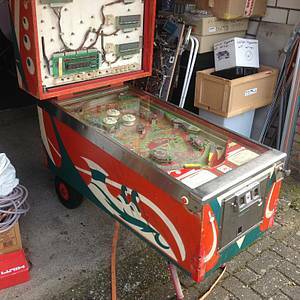 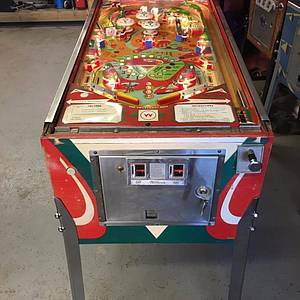 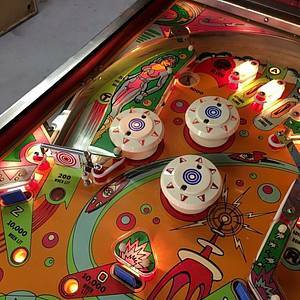 14 public locations known where you can play this machine.